A post for my middle kid. My middle kid is not the sit quietly, hand folded, patiently waiting until she is allowed to get up kind of a girl. When she was little, she was more of the, if you don’t hear her in the background for the past 5 minutes, it would behoove you to locate her and confiscate any weapons she has acquired and extract her from the situation. 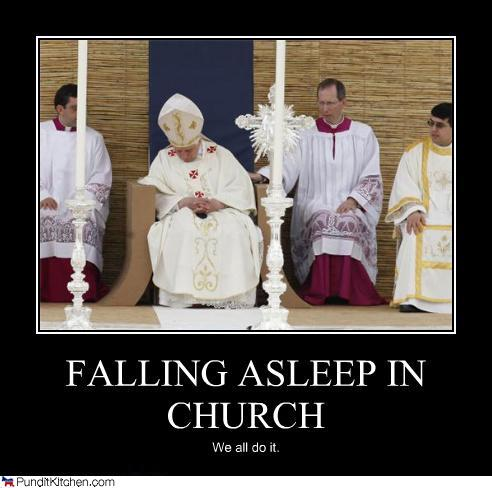 Obviously, church services were not her thing. 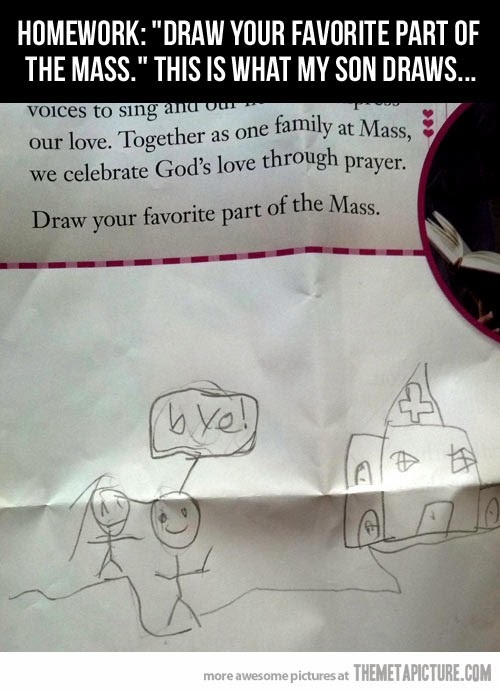 The irony is, she has been going to Catholic school where Mass is mandatory. Since nothing at the school has imploded, exploded or caught on fire, I’m going to assume she has found a way to sleep while looking like she is paying attention.